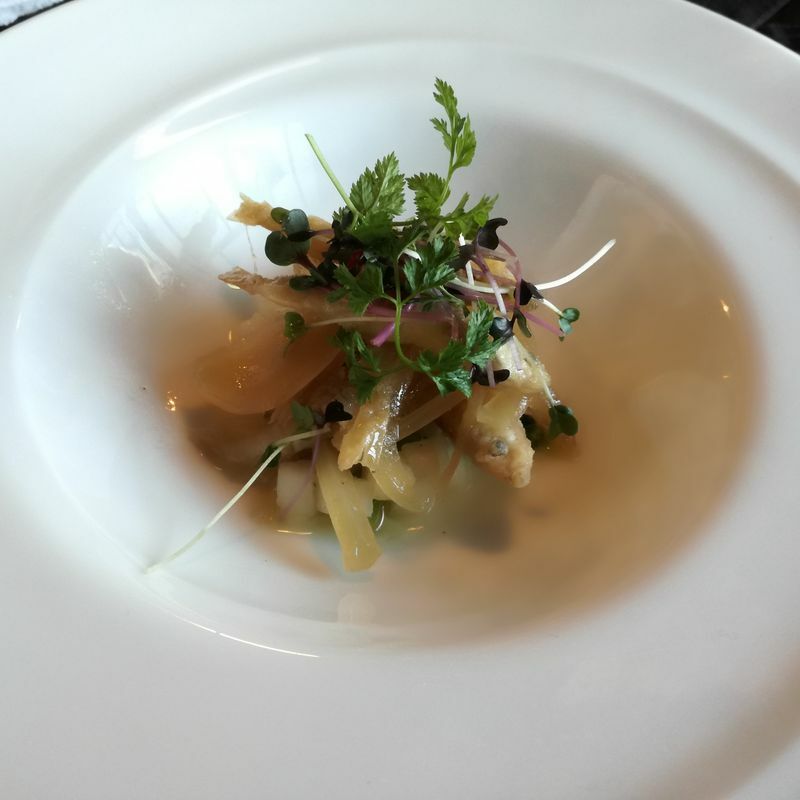 My visits to Nagareyama city, Chiba. My first visit to Nagareyama city was several months ago and I completely fell in love with the place. 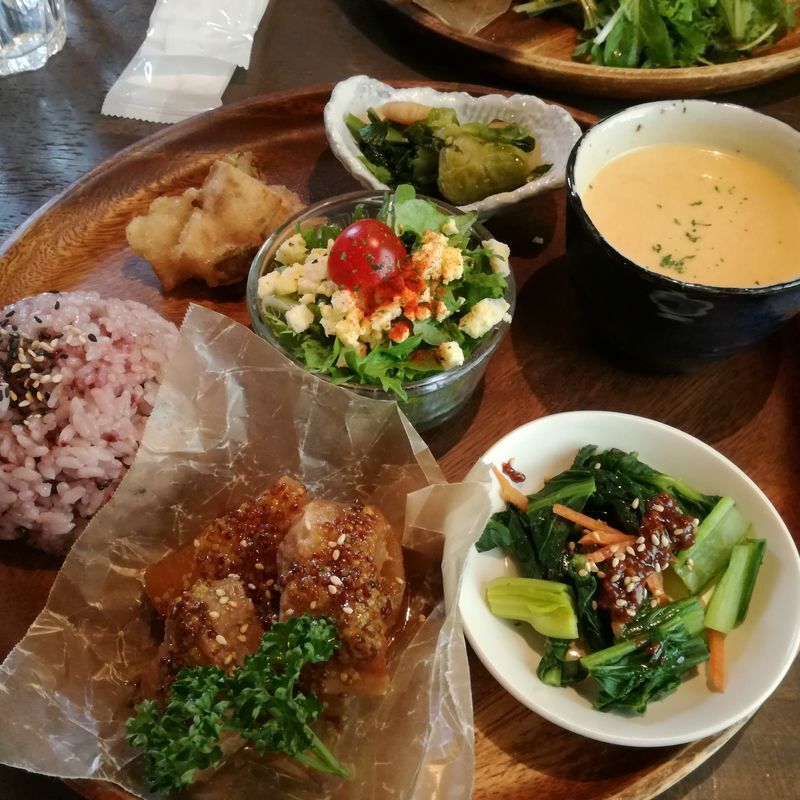 From that time, I visited Nagareyama several times and every time I enjoyed the atmosphere, food, souvenirs and many others. Let`s start with what Nagareyama city is and where it is situated. 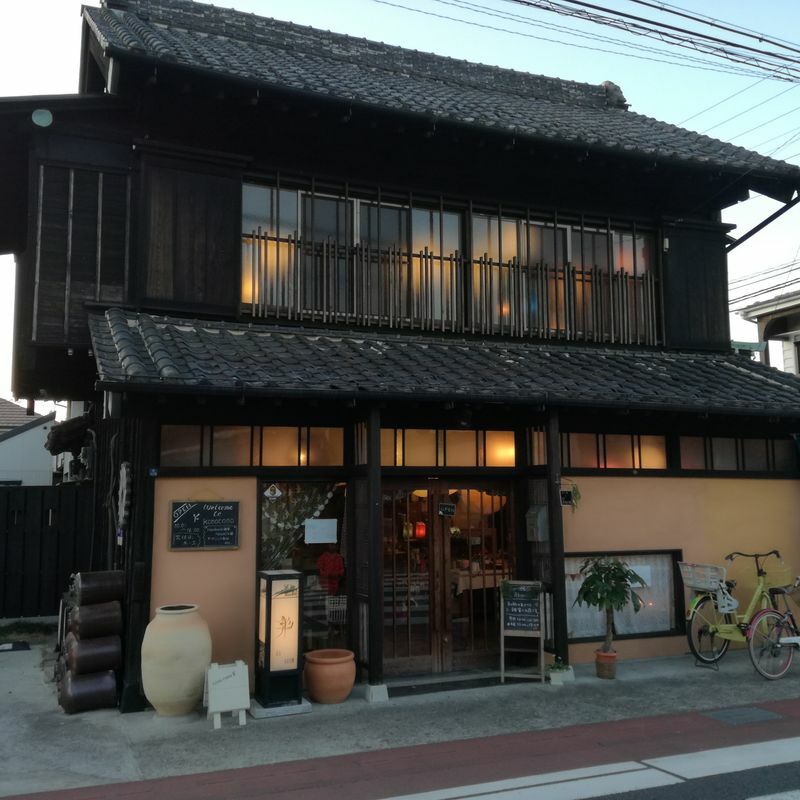 Nagareyama is situated in Chiba prefecture and it is a small city with the atmosphere of Edo period, its traditions and way of life. On the historical part of the city, they set special paper lanterns, which turn on in the nighttime, and their yellow lights make the place mysterious and romantic. These paper lanterns are called “kirie-andon” 切り絵行灯, which were created due to Mr. Iida Nobuyoshi and Mr. Hasebe Toshiharu in 2012. 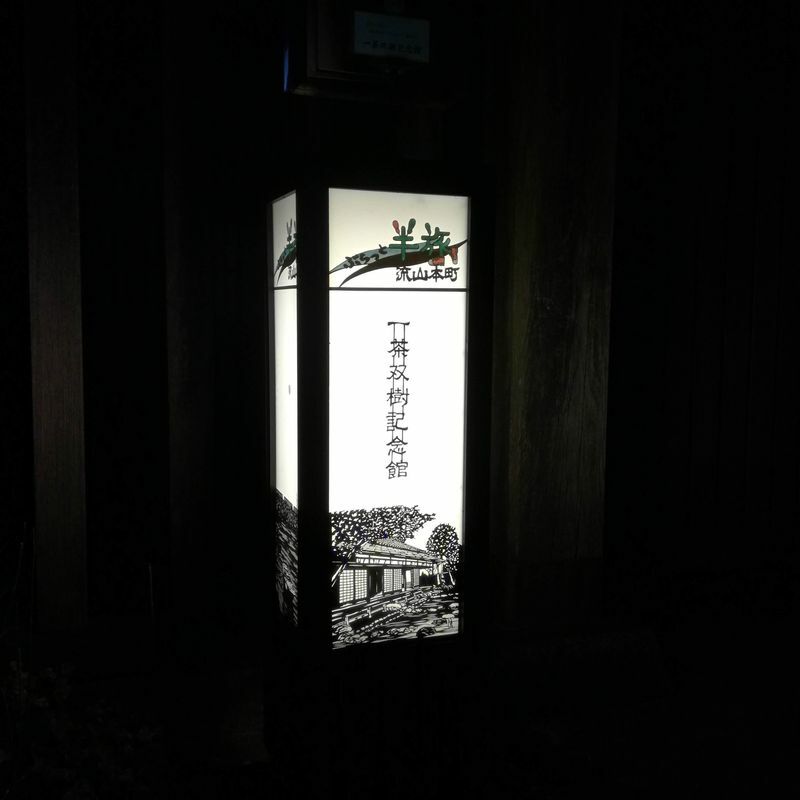 They created the lanterns to make people who visit Nagareyama feel the ancient history and remind about city`s role in Edo period. Each lantern has a black and white picture of the place where it stands indicating the historical significance, delicious Japanese foods, traditional craft shops, cafes and many others. 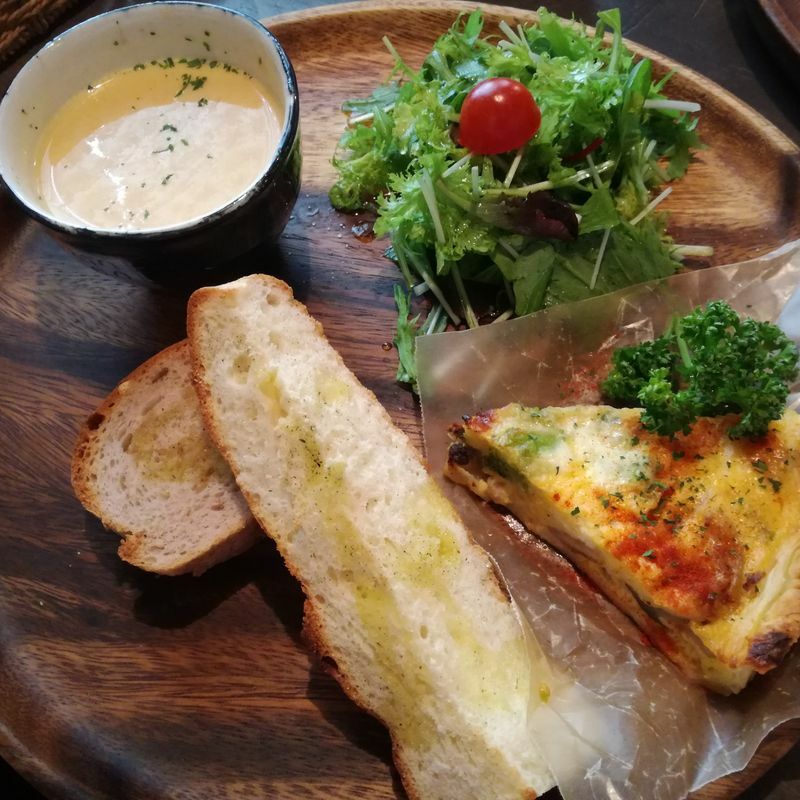 By the way, in Nagareyama city, there are many delicious restaurants and cafes, I have visited only few of them but I liked the food, atmosphere and surrounding, that is why I always return to the same places to have my lunch there. 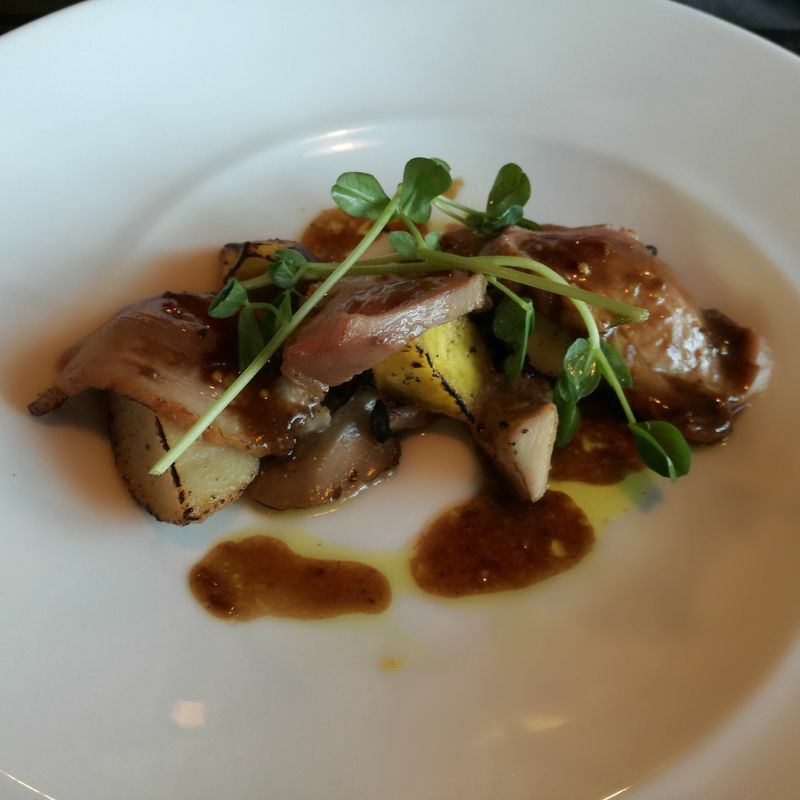 One of the places where I recommend you to go is an Italian-French restaurant called “Choujiya” 丁子屋. First, I was amazed by the building exterior design resembling Edo period style and after entering I understood that I would return here. When you come in, you are supposed to take off your shoes and wear the slippers prepared for you. 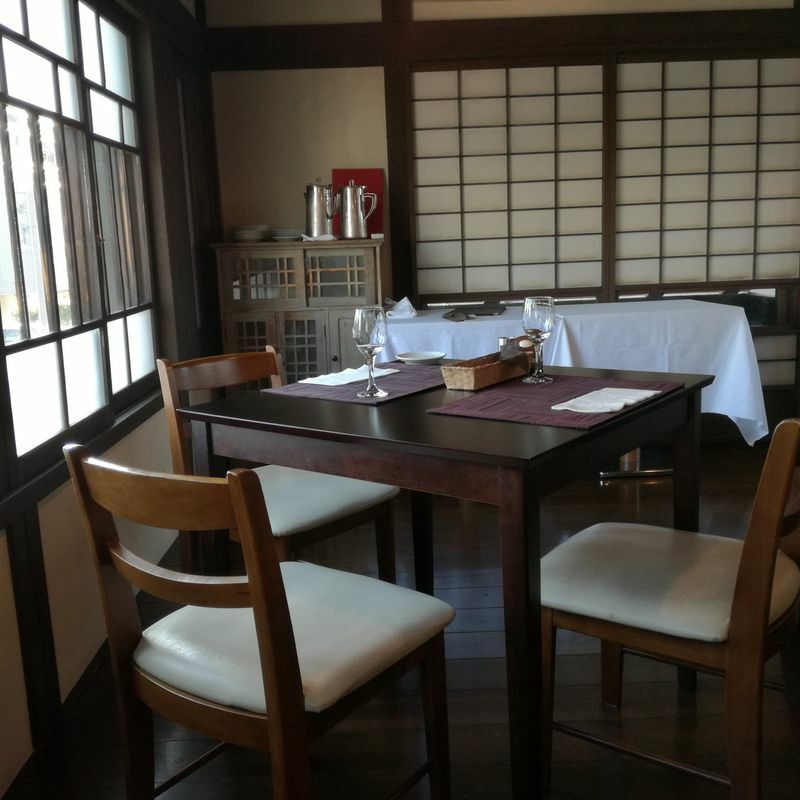 Then follow one of the halls on the first floor (there are tatami room and European style room with tables and chairs) or take a quite steep stairs to climb up on the second floor. 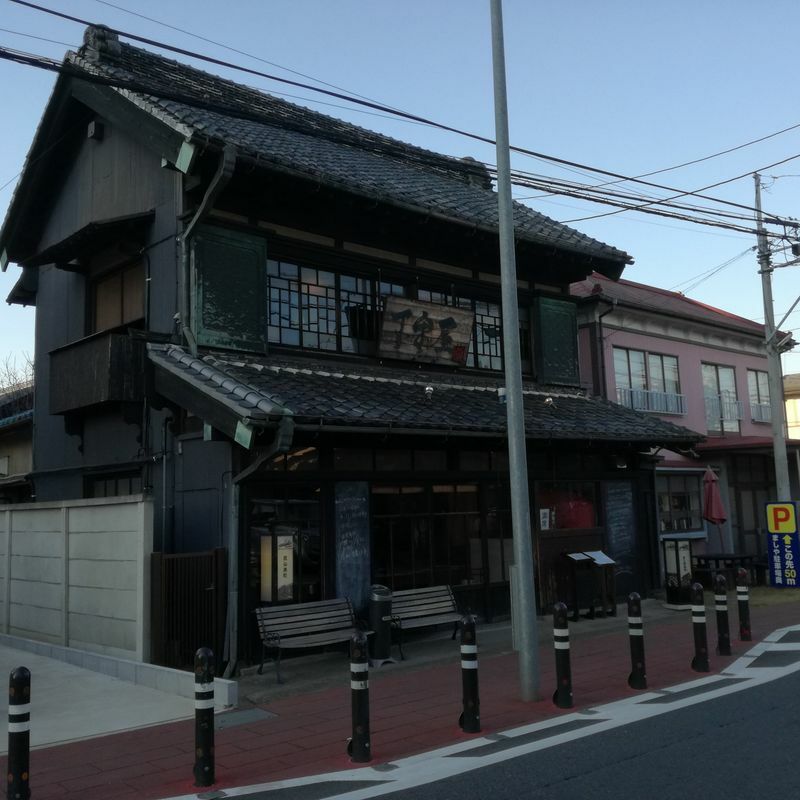 The building was constructed in 1923 and originally there was a “tabi” shop (“tabi” are Japanese traditional socks with the shape where one big toe is separated with the others). Later the building was restored and now it is a restaurant in it. 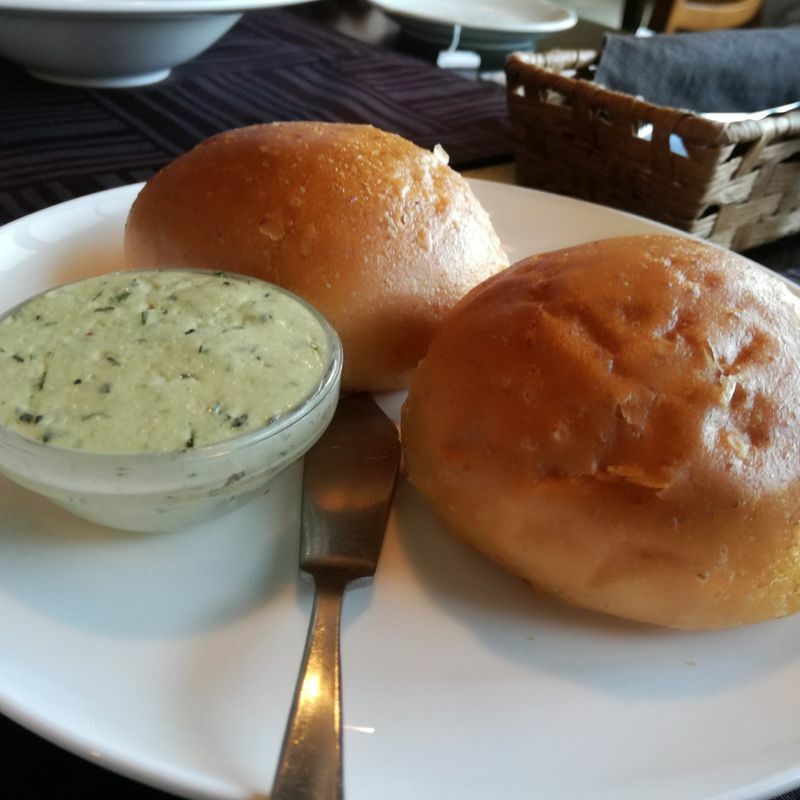 The prices are quite high but the dishes are so splendid to their look and taste, so that it is worth eating here. 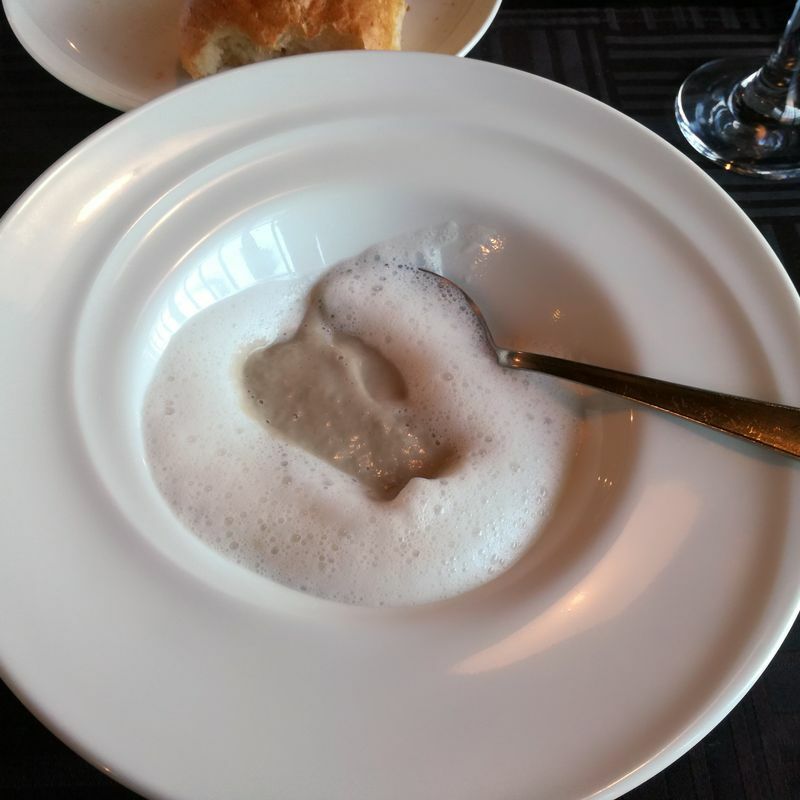 When I was there last time several month ago, I had lunch for 2700 yen (appetizer, seasonal soup, fish or meat as a hot dish, freshly home baked bread with anchovy butter, dessert, which you can choose by yourself, tea or coffee). 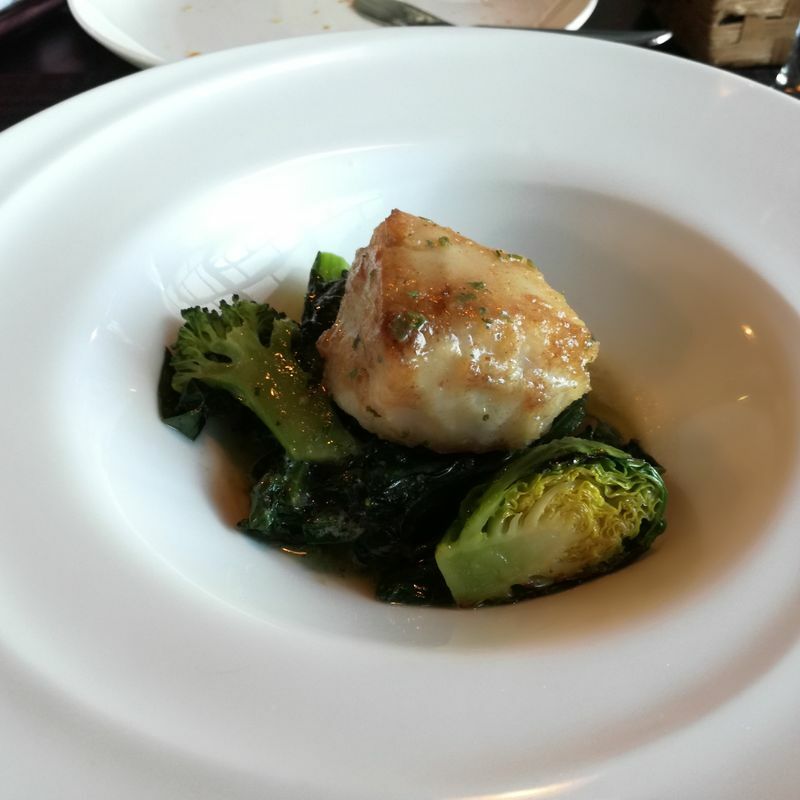 Dinner at the restaurant was from 5800 yen. Check their site and don`t forget to make your reservation as the restaurant is very popular and sometimes full of guests. 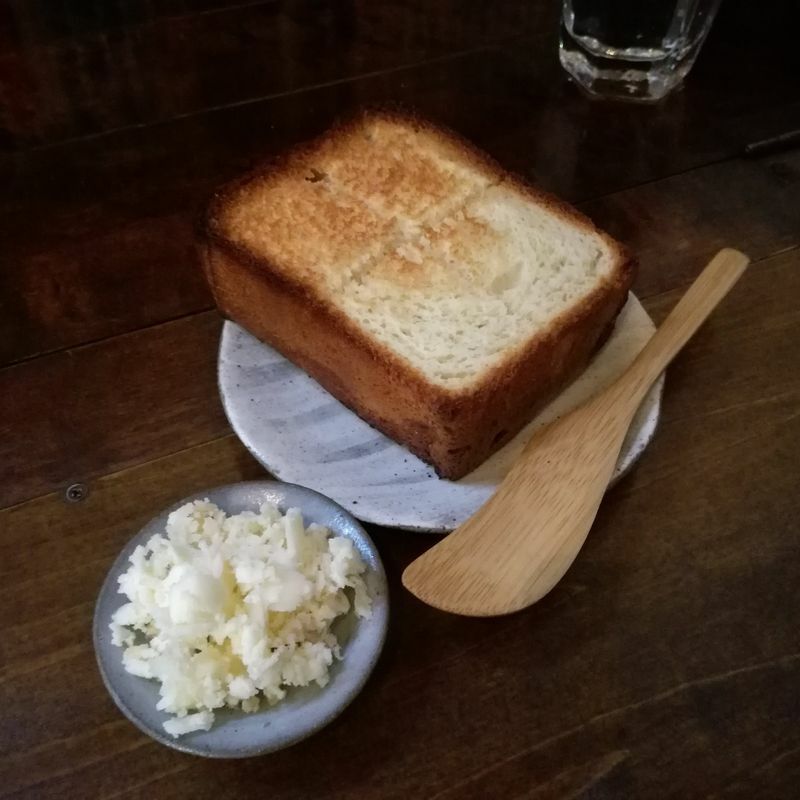 One more place which I can recommend is a Japanese cuisine restaurant called «Kura-no Cafe+Towa Gallery” 蔵のカフェプラスギャラリー灯環. 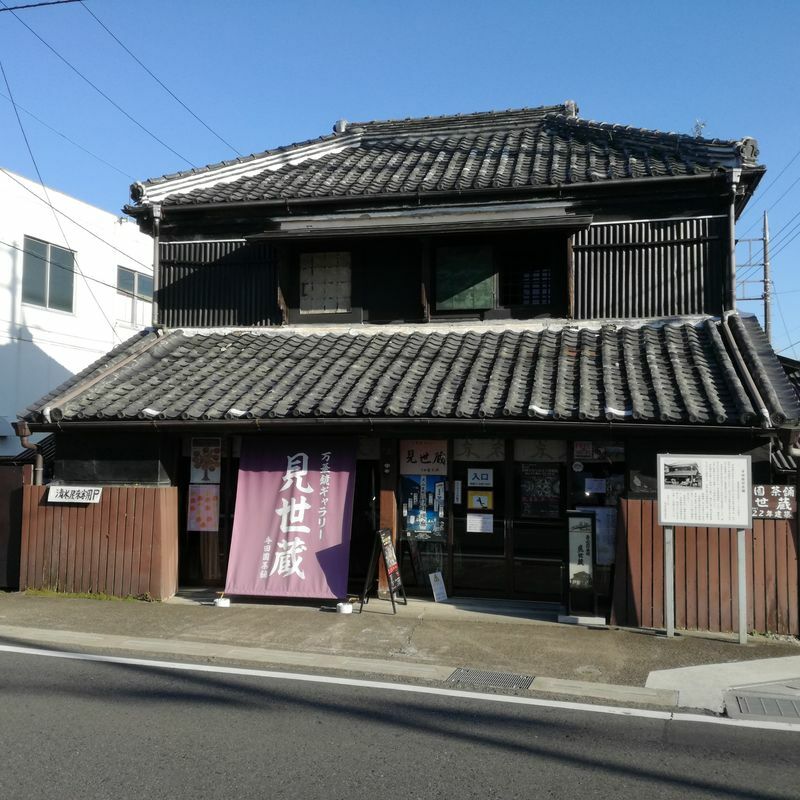 The building was constructed in 1898 and it is one of the most ancient warehouses of Nagareyama city also it is registered as culture heritage of Japan. 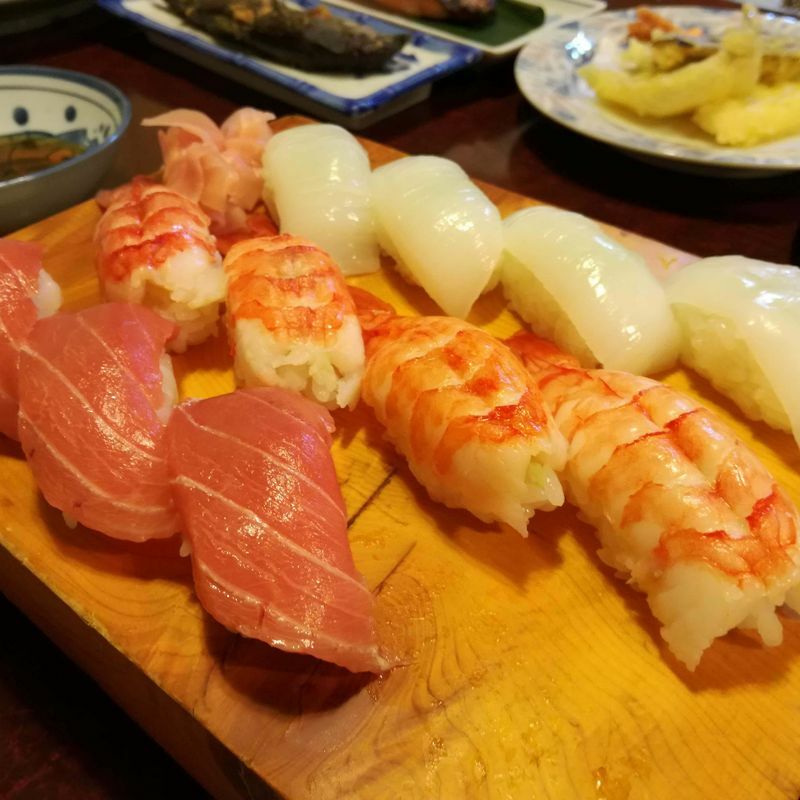 Here you can try dishes of different color and taste, also you can try some sweets made with addition of sweet rice wine for cooking – mirin. 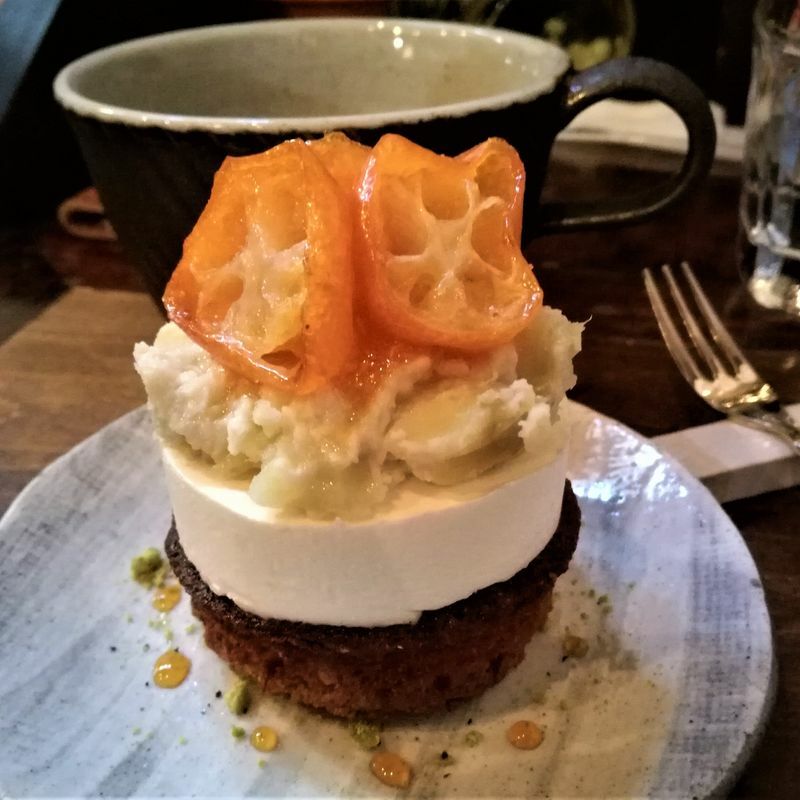 If you want to drop into a café and have a nice chat with your friends I can recommend TRONC café. This place is super nice! 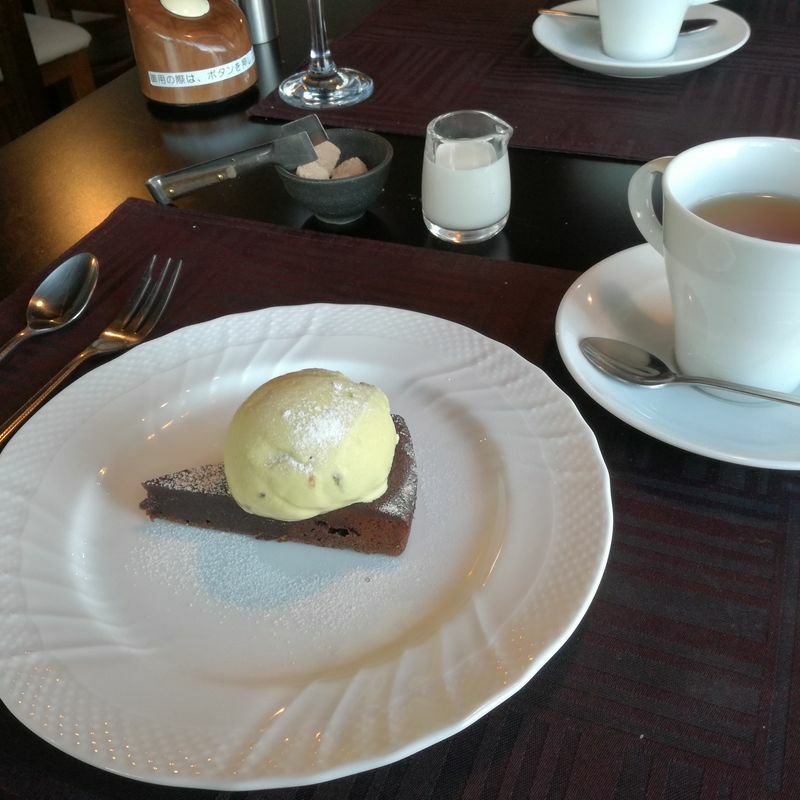 Beverages, cakes, a tost with mirin butter were splendid. Here you can spend time drinking wonderful coffee or tea. 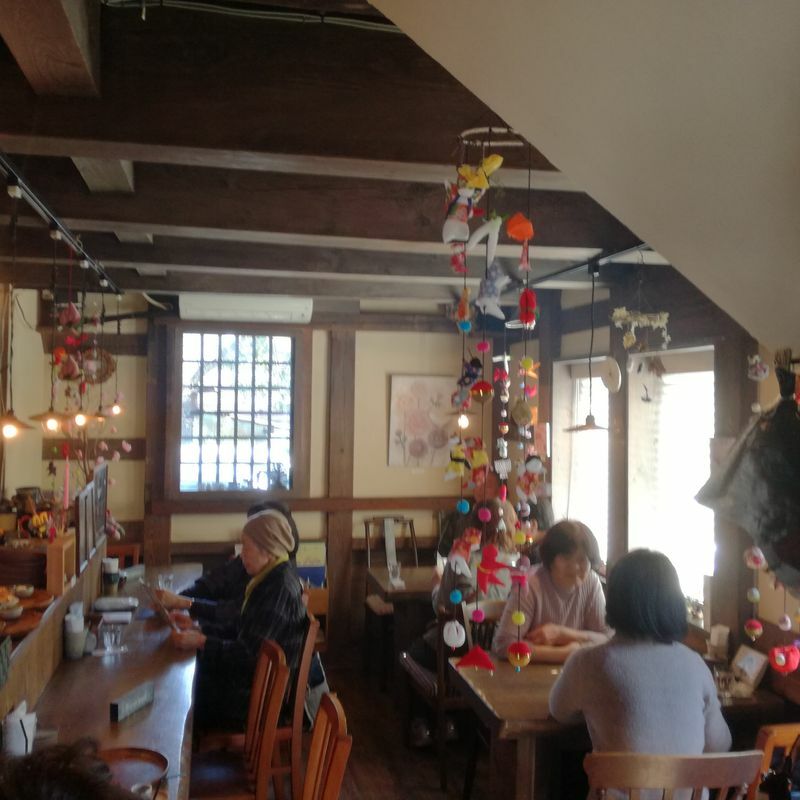 This café is not big but very popular that is why people often queue in order to visit this place. 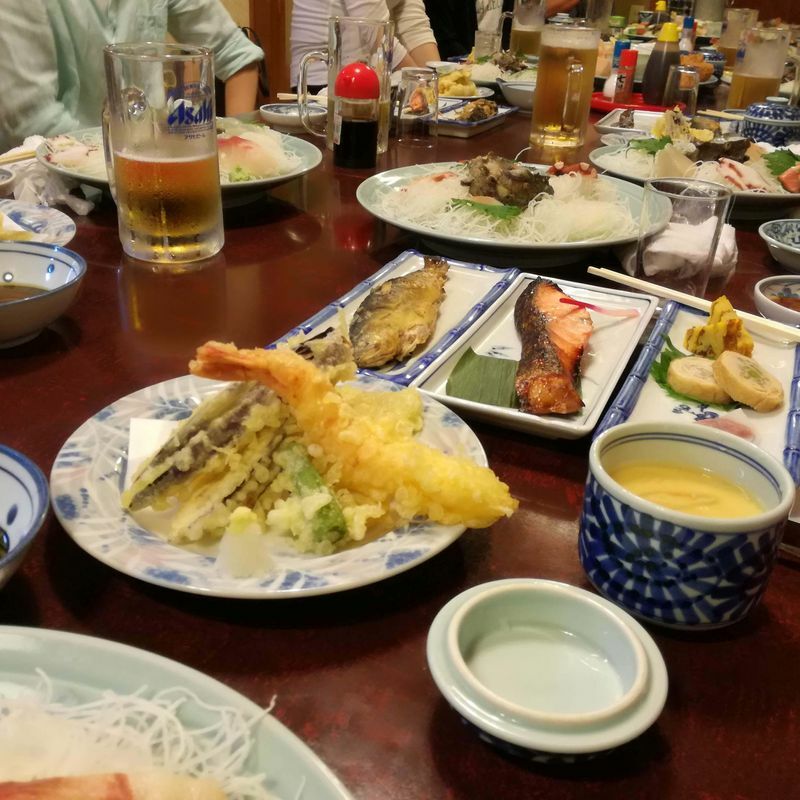 If you want to have a drinking party “nomikai” then a tavern called "Japan" 日本 is just the place where you can spend time in a friendly atmosphere and enjoy tasty foods and drinks. In Nagareyama city there is something like Fuji-san, the place is called Fuji-zuka, near which there is a shrine Sengen Jinja. Fuji-zuka was created for those people who cannot climb up a real Fuji-san which height is 3,776 meters. 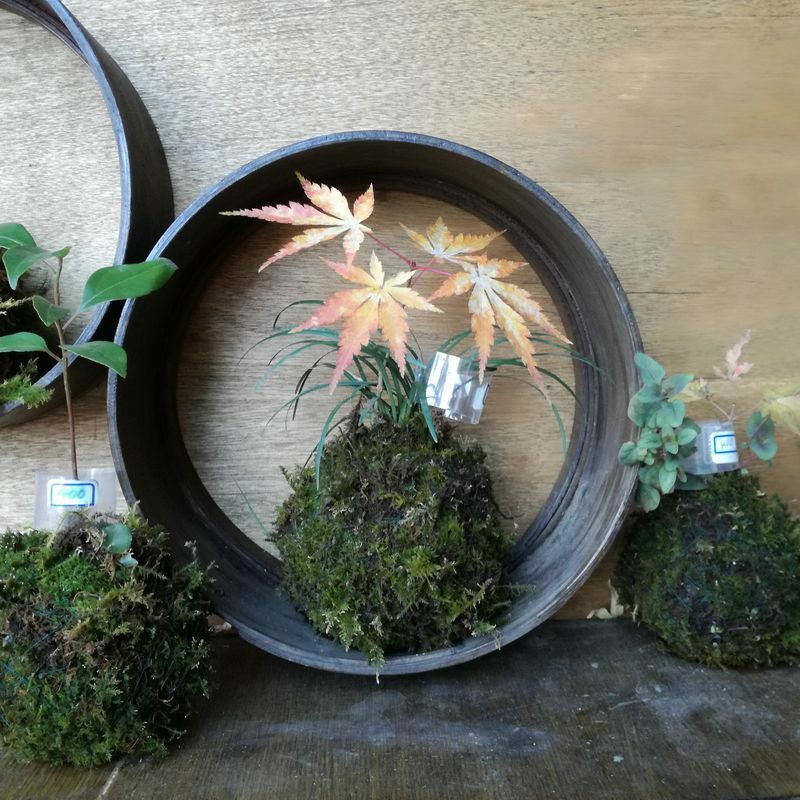 Not far from hill Fuji-zuka there is a shop called “Bamboo leaves” 笹屋商店 where Mr. Tagami - artisan in the 5th generation works. He manufactures mattresses, blankets, pillows, aprons, smartphone covers and etc. Here you can purchase his pieces of works and sometimes very cute things, for example, a bed set for you lovely kitty. Days off: Every Wednesday, the 2nd and 3rd Thursday of the month. 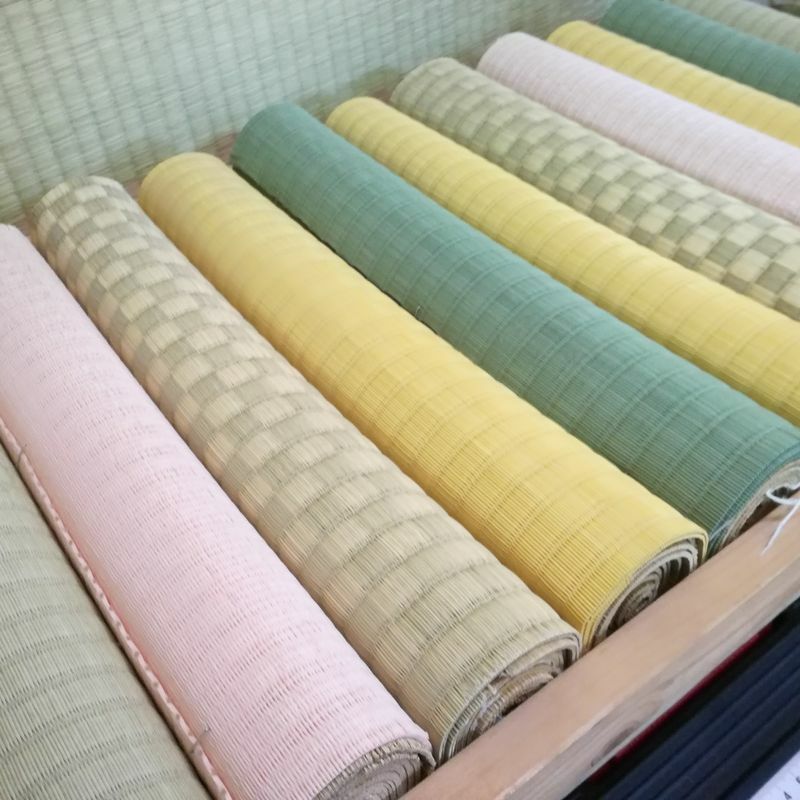 In a 5-minute walk from “Bamboo leaves” there is a shop where tatami is made “Murata tatami” 村田畳. 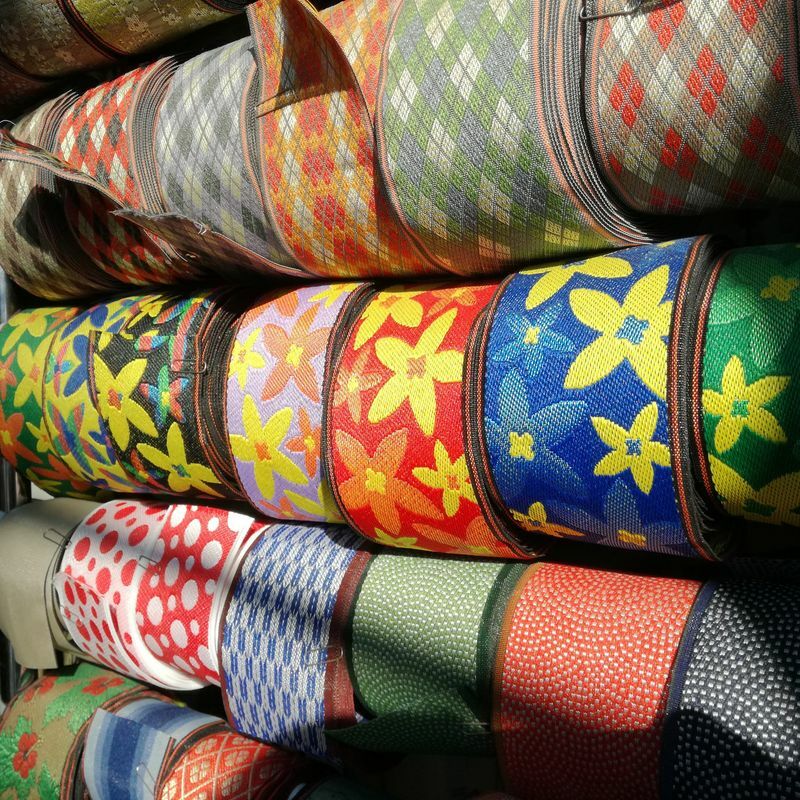 Here you can find different kinds of products made from tatami materials. They have colorful tatami! 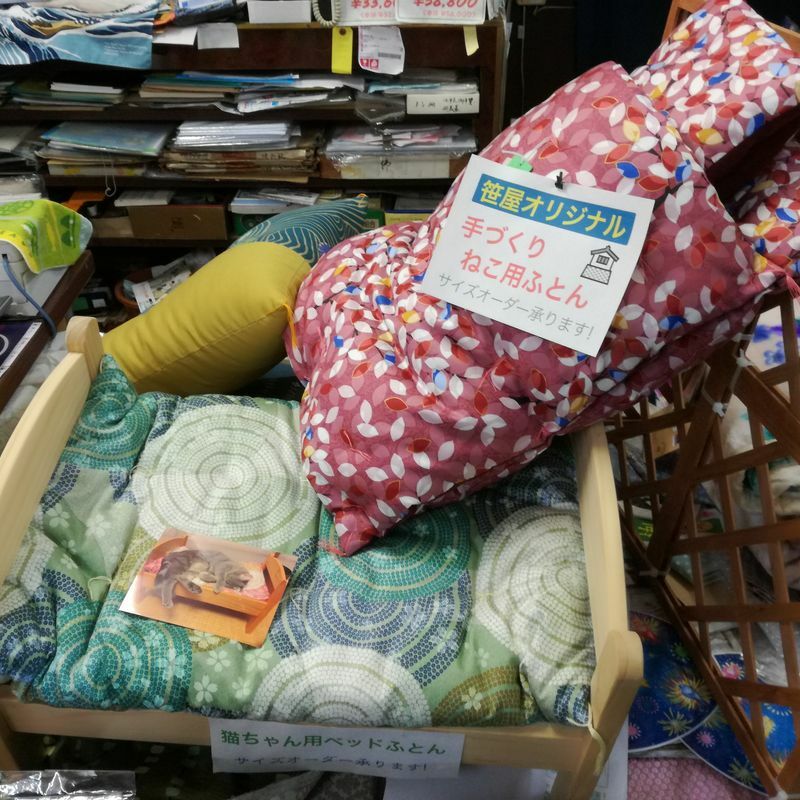 They sell articles of interior made from «igusa» - soft rush that is used as material for tatami and also little cute things made from tatami binding. 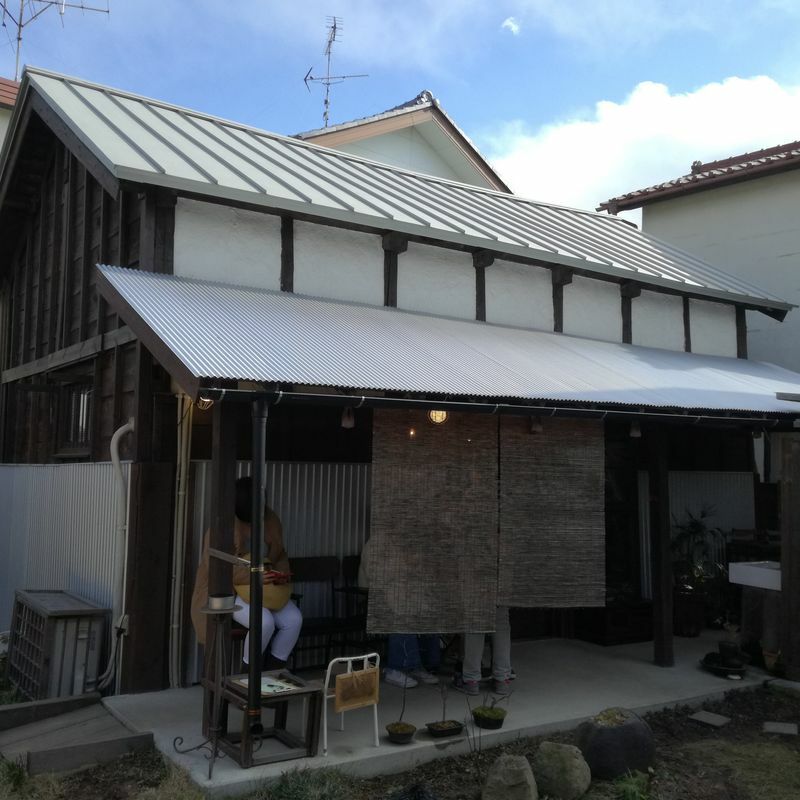 In 10-minutes walk from “Murata tatami” you will find “Kaleidoscope Gallery Misekura” 万華鏡ギャラリー見世蔵. The building was constructed in 1890 and at that time, there was a teahouse “Teradaen Chaho”. Now they exhibit and sell kaleidoscopes made by Nakazato Yasuko. This artist lives in Nagareyama city and goes all round the world with her kaleidoscope collection to exhibit them. This building is registered as a National treasure of Japan. Here you can look into the kaleidoscopes, touch them and buy the one you liked. 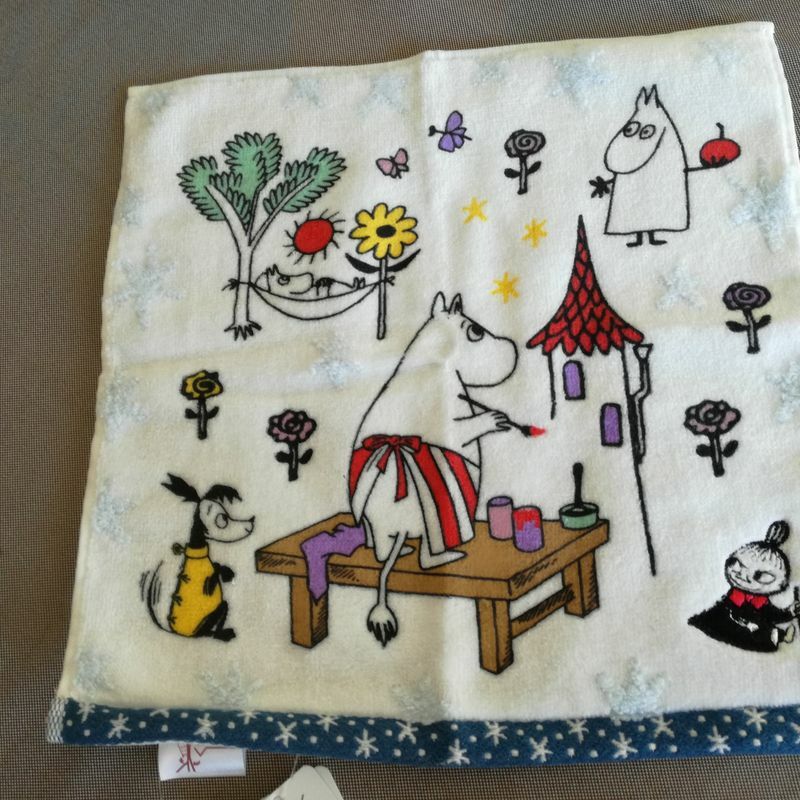 They also sell some cute things like moumin`s super soft handkerchiefs, bags, postcards and etc. Several weeks ago, I bought this cute little thing. 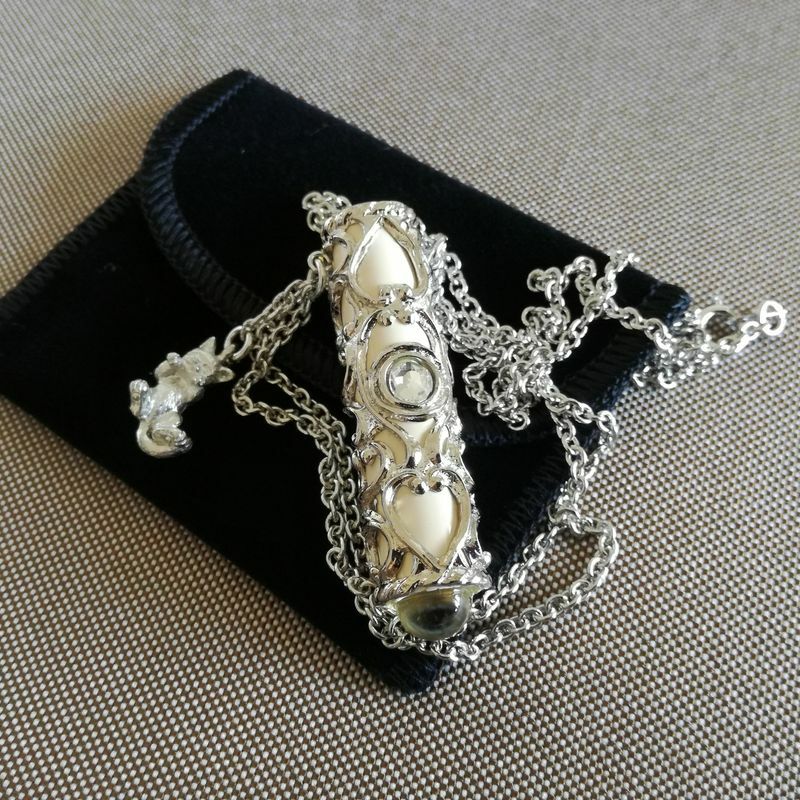 It`s a necklace-tailedoscope, using which you can see usual surroundings transforming into the world of kaleidoscopes. 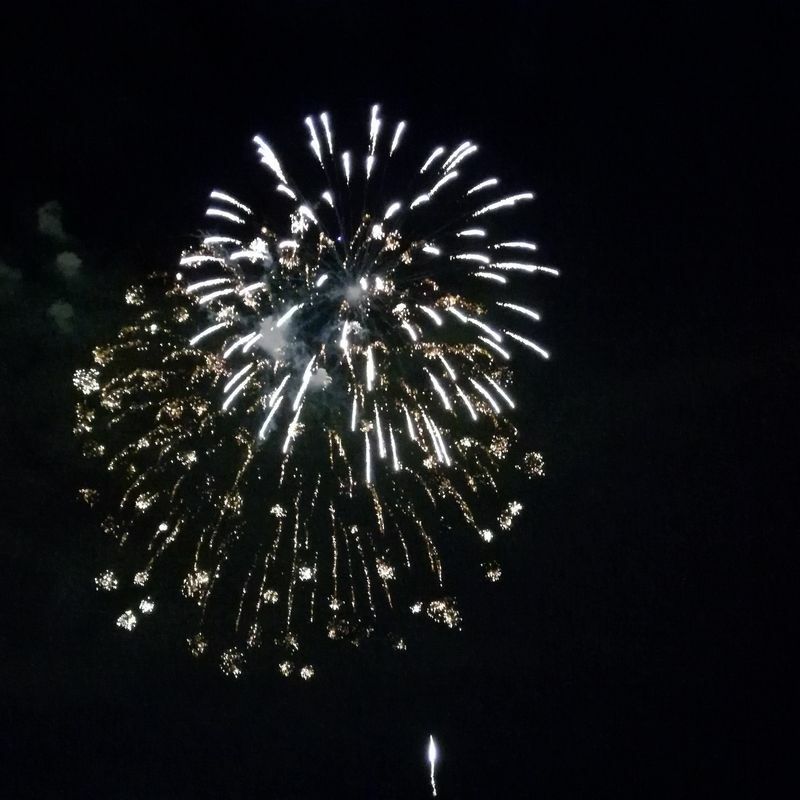 They told me that it is also worth using it when you watch fireworks “hanabi” in summer. 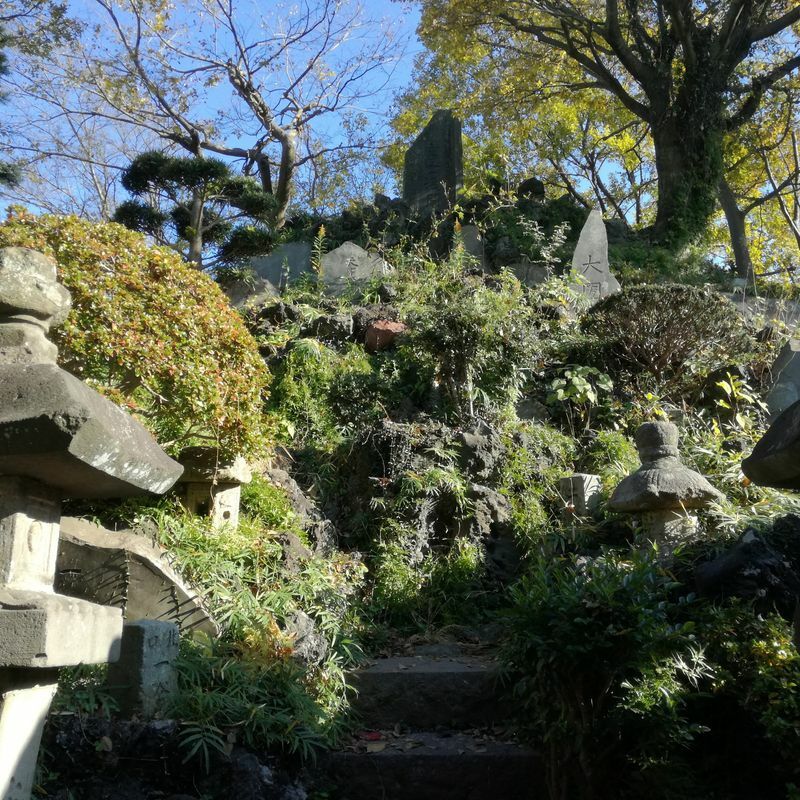 In 10-minutes walk from “Kaleidoscope Gallery Misekura” there is a memorial house «Issasoju» 茶双樹記念館. 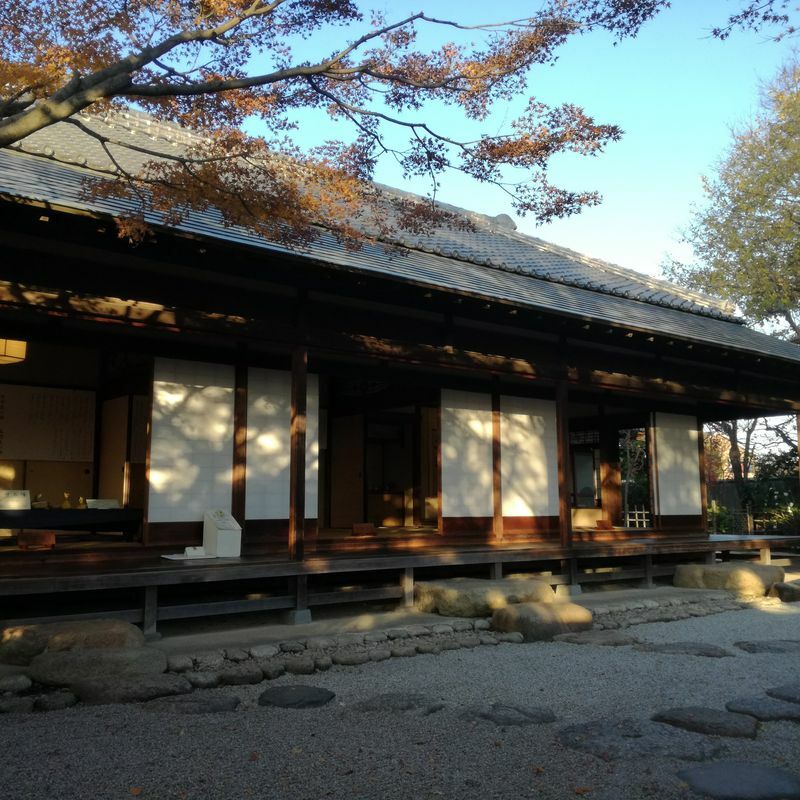 A Mr. Akimoto used to live in the house, he made his status and money by selling Japanese mirin, he was composing verses and was a friend of Kobayashi Issa, who came to the place to participate in tea ceremony sit in Japanese garden, spend time with his friend. 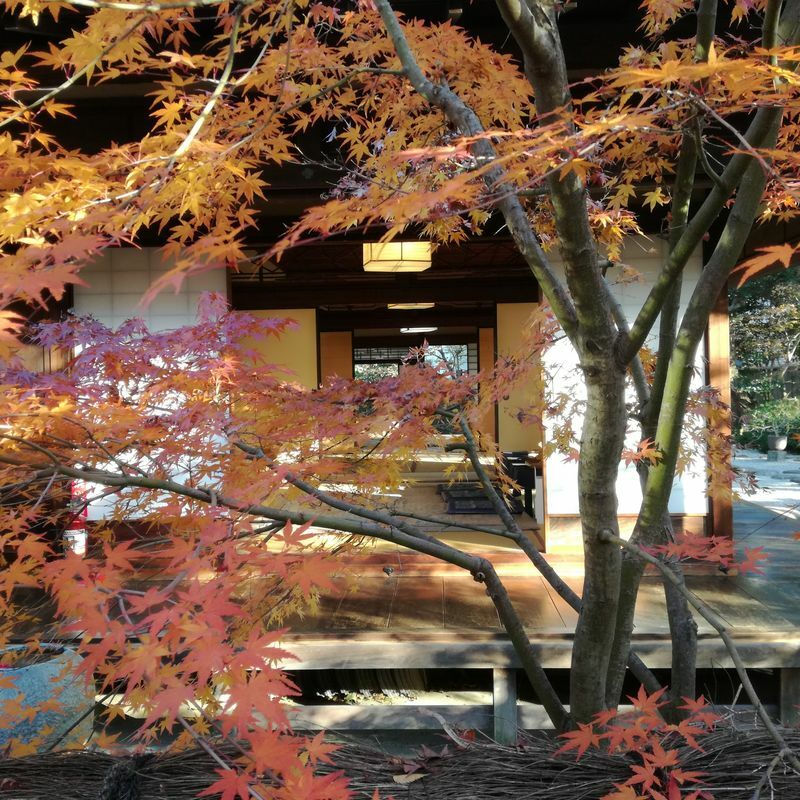 In that Japanese Garden in autumn you can enjoy the beauty of red maple leaves – momiji, and moss bonsai “kokedama”. You can also participate in the Japanese traditional tea ceremony. 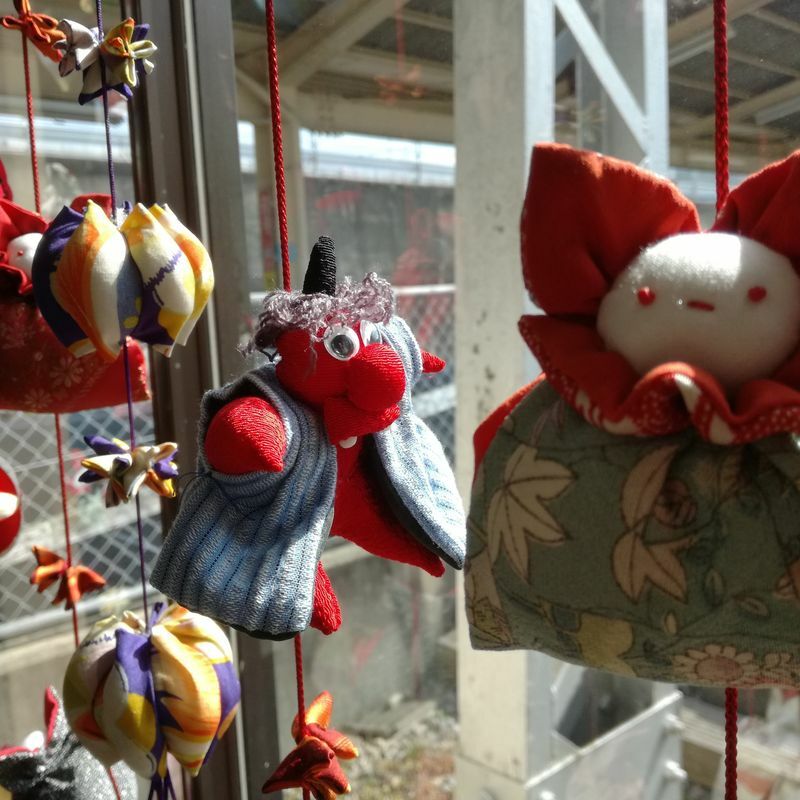 One more interesting place of Nagareyama city is «Nagareyama akarikan» あかり館＠雑貨konocono – here you can find pretty lanterns and other things made from «minowashi» paper, which was invented in Gifu prefecture. The building was constructed in the 80th of 20 century. 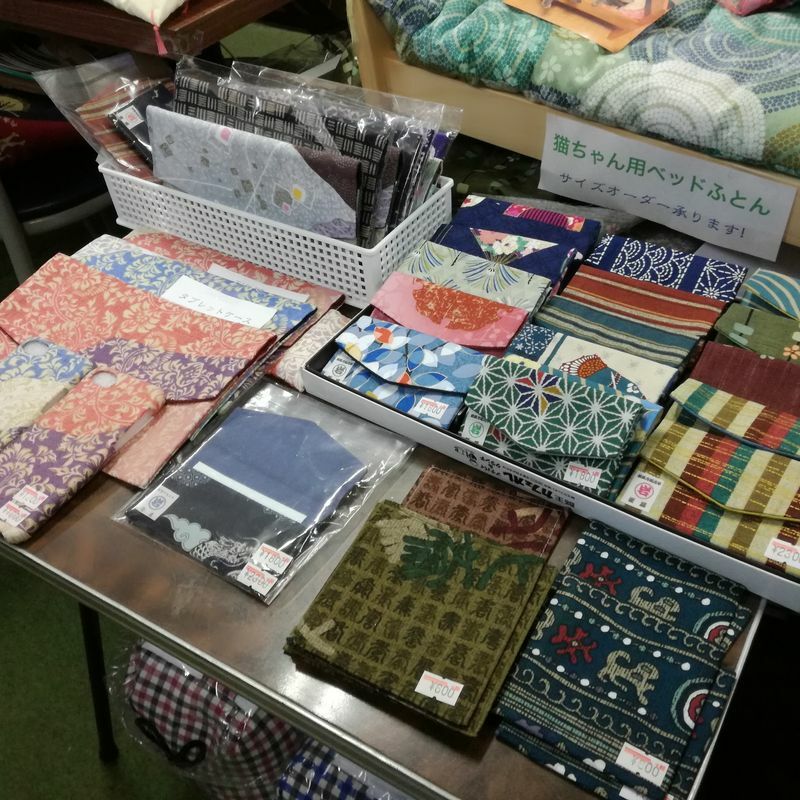 Not long ago, it was restored and they sell articles made of Japanese paper and other cute things like pins, wallets, necklaces and etc. Every summer in Nagareyama city they organize Fireworks Display 流山花火大会 which is held near Edo river. 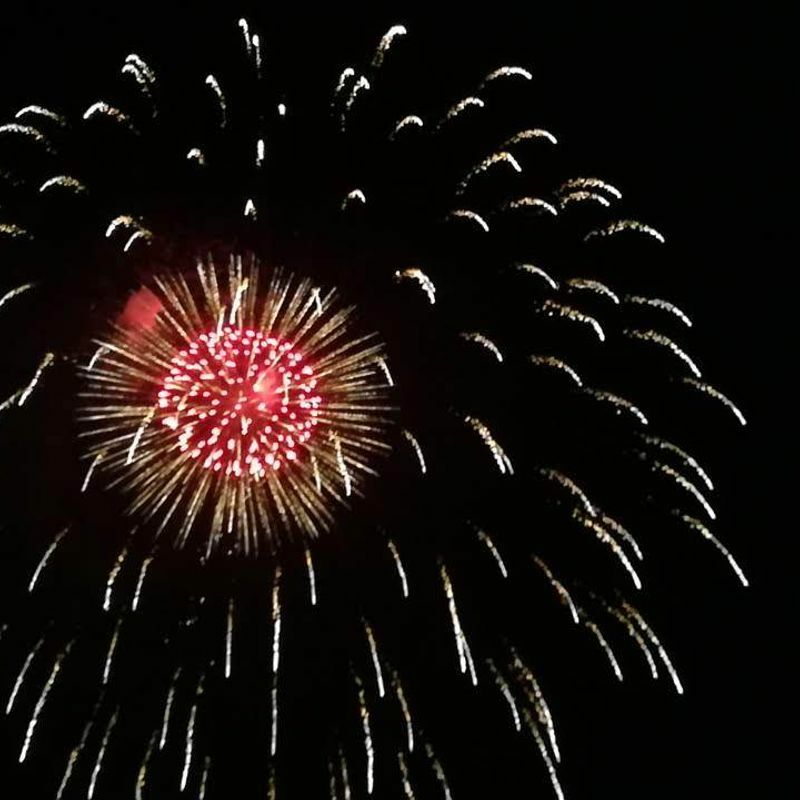 You can watch beautiful fireworks standing on the Edo river embankment also famous for cycling. However, the number of people is incredibly big so that you can choose whether to come beforehand: several hours in advance or try to get on the top of embankment when there are many people. There also seats which you can purchase in advance and enjoy the best view of the fireworks. Just one recommendation take a drink with you when you go there, last time all vending machines’ PET bottles with water were sold out. 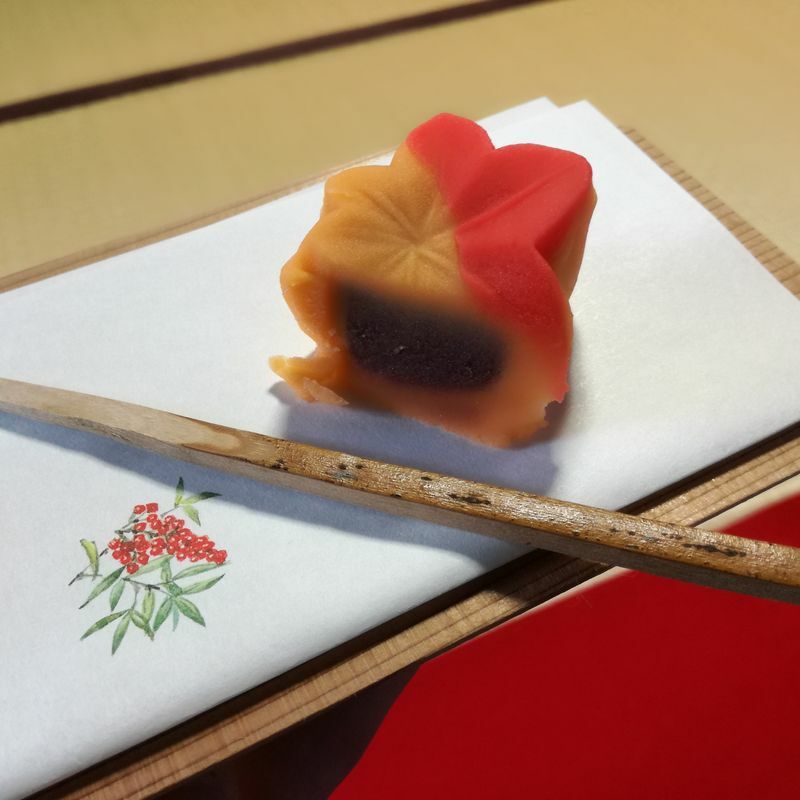 One more Nagareyama`s famous event that takes place every year is “Hinameguri” ひなめぐり. 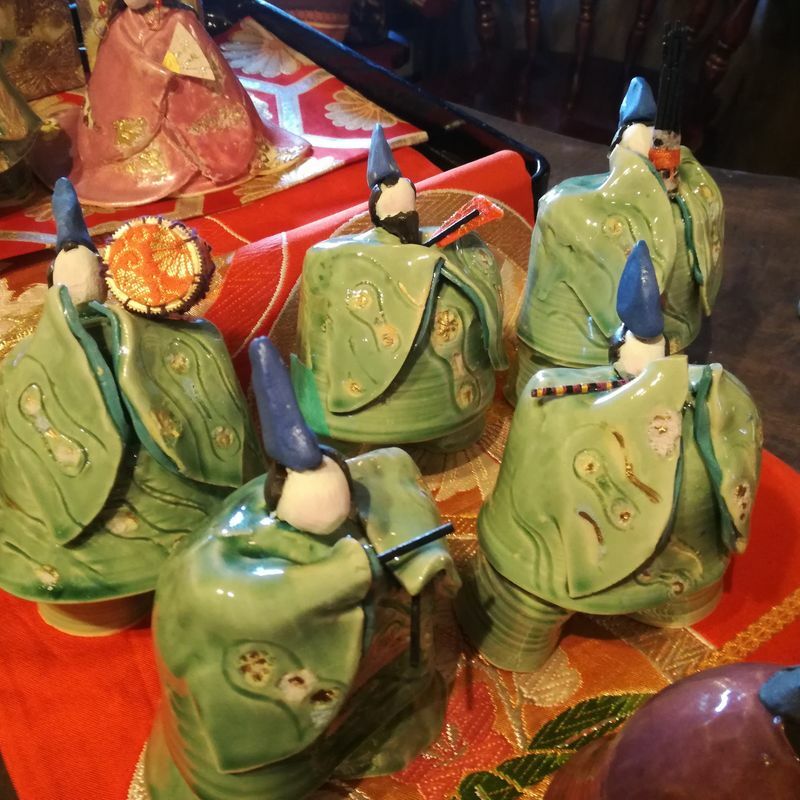 These almost 2 weeks of displaying “hina dolls” for Hina Matsuri event are very exciting as you can find beautifully decorated dolls almost everywhere. For example, they decorate Nagareyama station of Ryutetsu line, restaurants, galleries, shops, signboard and etc. They distribute special leaflets for the event where you can find a map where hina dolls` presence is indicated. 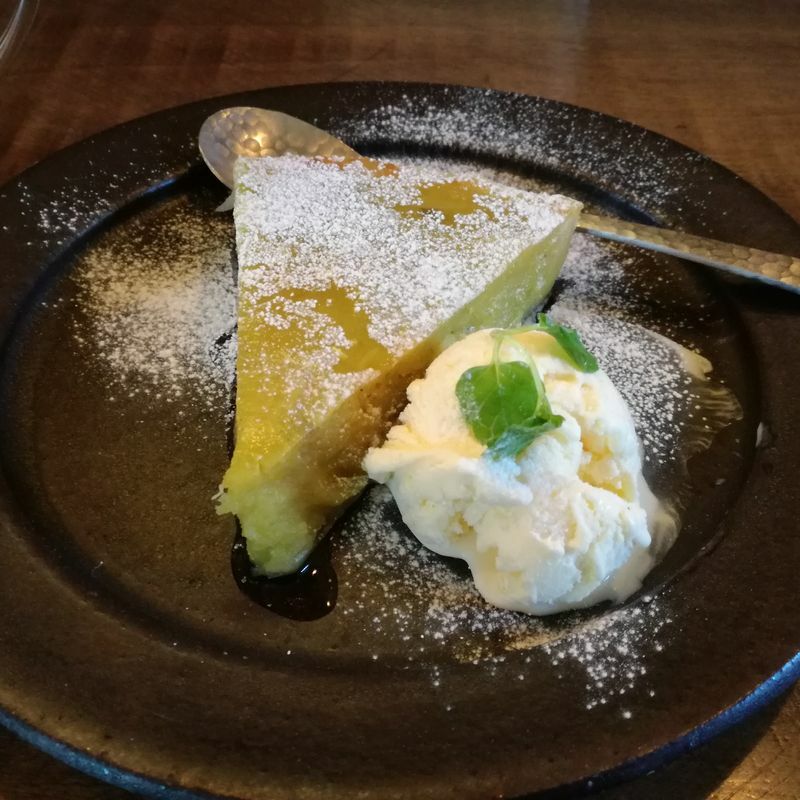 That`s all I wanted to tell you about such a wonderful place called Nagareyama city and I wrote only about places I went to and events I participated in but I believe there are lots of other interesting places and things. 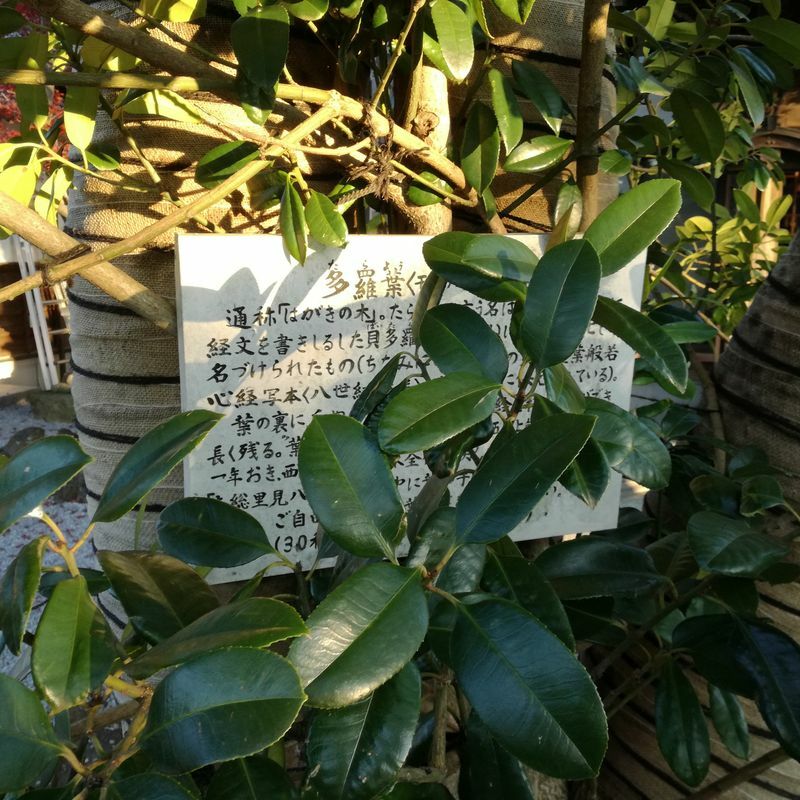 For example, a wonderful plant called “tarajo holly” 多羅葉 which is growing in Nagareyama city and sometimes you can see some writings on the leaves. This plant is a Nagareyama`s nature monument. 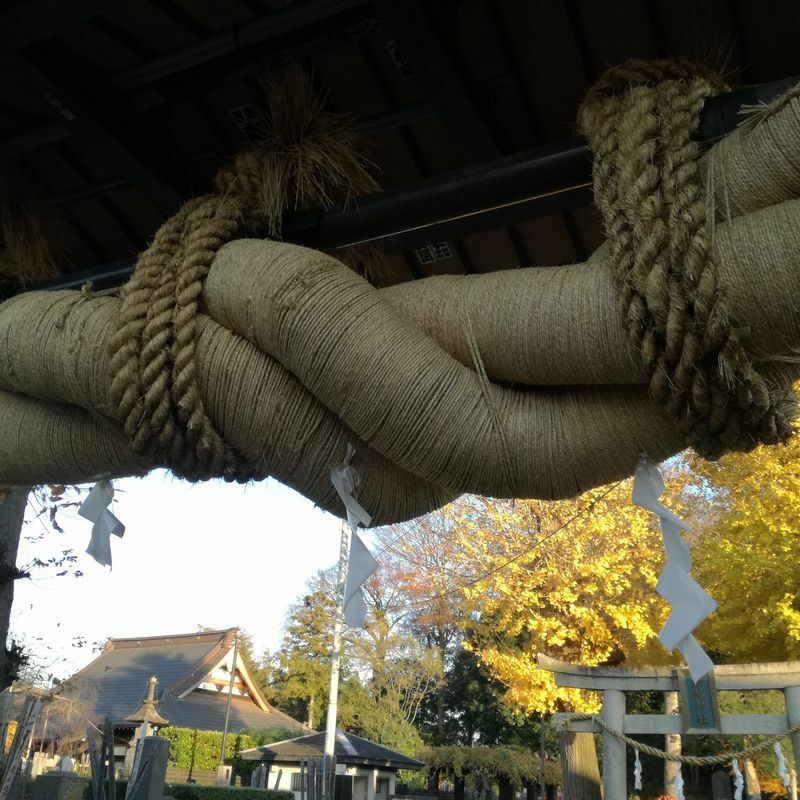 In the city you can also see a big shimenawa 大しめ縄 made of rice straw ropes decorated with Japanese paper washi, it leads to Akagi Jinja 赤城神社. 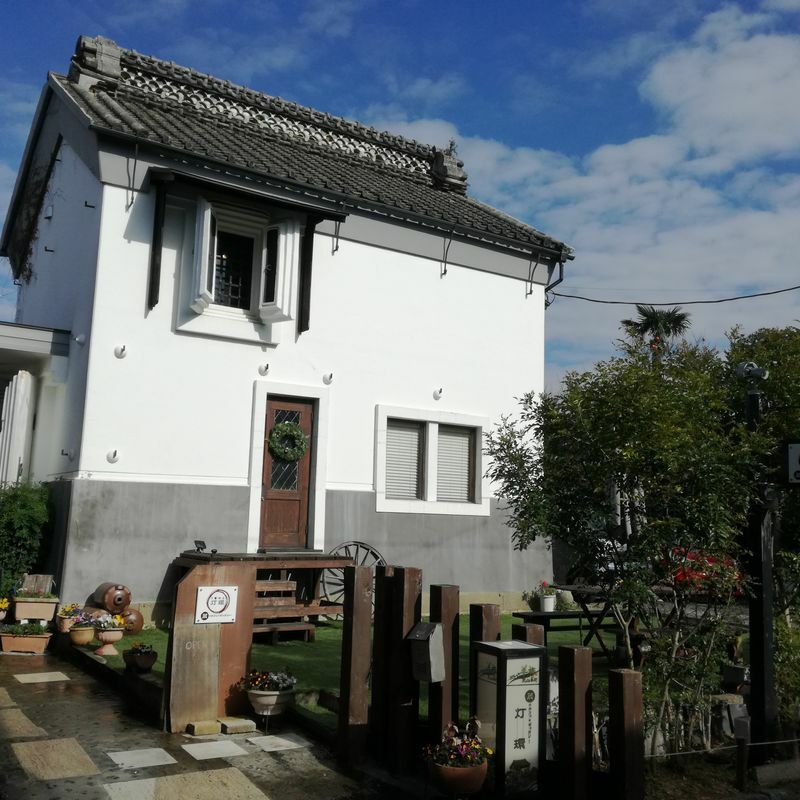 For me Nagareyama is a nice and beautiful place where I often prefer to spend time, so probably this is not the last article about Nagareyama. Hello everyone, how do you do!? 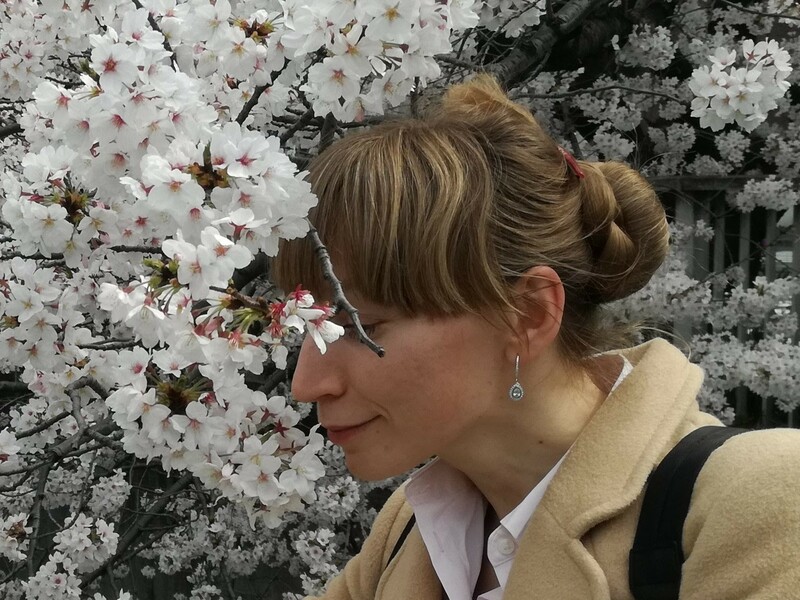 I love Japan, full of green landscapes and flowers blossoming all year round. I would like to tell everyone about its interesting places, tasty food, beautiful beaches, and I hope that readers will find my articles useful. Let‘s follow the Japanese eco lifestyle: Reduce, Reuse, Recycle!